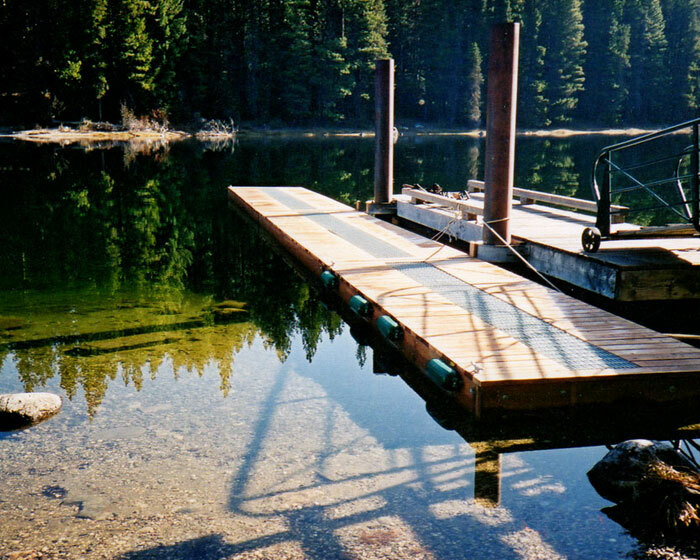 Floating residential boat dock on Lake Wenatchee in Eastern Washington. 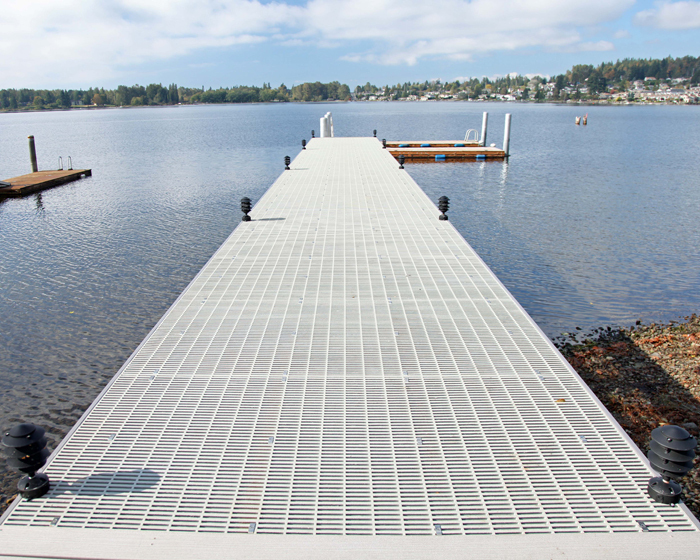 Wood with metal grating deck surface. 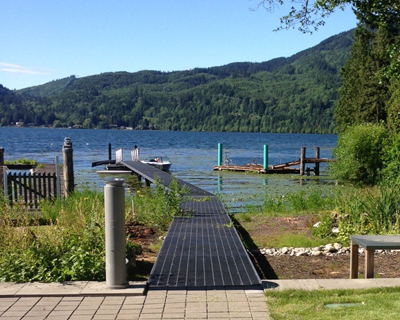 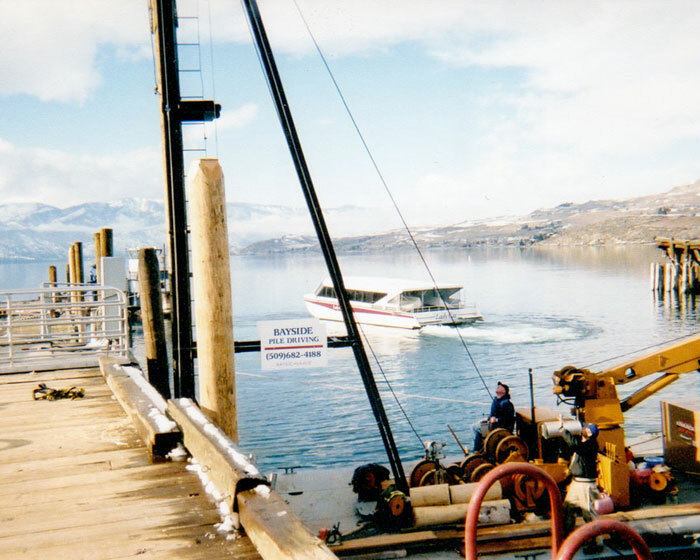 This entry was posted in Lakeside Boat Docks and tagged Lake Wenatchee, mobile pile driving on October 8, 2012 by bayside.